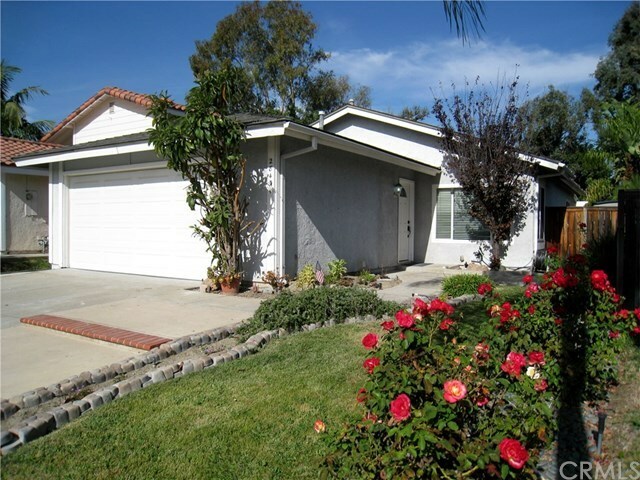 This 3 bedroom single level home is located on a Cul De Sac in the picturesque Cordova Vistaâs neighborhood of Mission Viejo. Located just steps from Phillip J. Reilly Elementary School, awarded the California Distinguished School honor and a National Blue Ribbon honor. This home is a member of Lake Mission Viejo HOA, so you can enjoy the amazing amenities like swimming, fishing, boating, fireworks and the unbelievable summer concert series. Also nearby is the Oso Creek Trail system with over 5 miles of hiking trails in and around the San Juan Creek Water shed. Updated dual pane windows and sliders, updated central air conditioning and heater, nice private back yard with room for fruit trees, automatic sprinklers, and patio cover. The floors are laminate wood and shine like new. This home is priced to sell fast. NO MELLO ROOS, low HOAâs and a great community near all amenities.